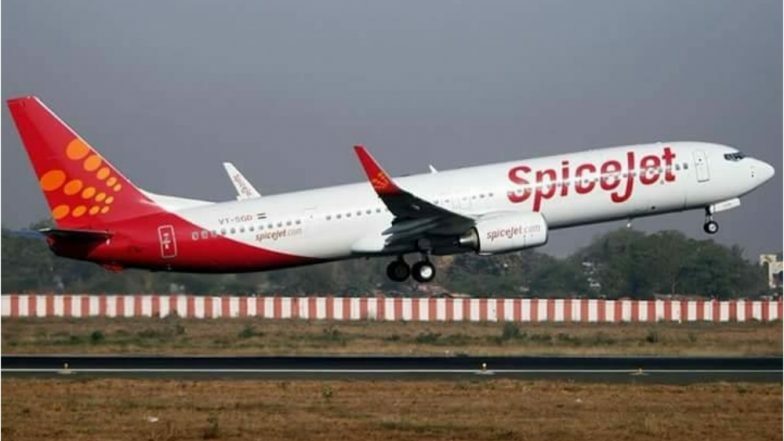 New Delhi, April 15: SpiceJet Monday announced the launch of non-stop flights from Mumbai to Colombo, Dhaka, Riyadh, Hong Kong and Kathmandu. The no-frills airline would start the services from the end of May. In a release, the carrier said it would be the first Indian budget carrier to launch daily direct flights on the Mumbai-Colombo, Mumbai-Dhaka, Mumbai-Riyadh, Mumbai-Hong Kong and Mumbai-Kathmandu sectors. Boeing 737 NG aircraft would be deployed in the new routes. Jet Airways Pilots, Engineers Joining SpiceJet at 30-50% Pay Cut. "The airline already operates flights to Colombo from Chennai and Madurai, Dhaka from Kolkata, Dubai from Delhi, Mumbai, Ahmedabad, Pune, Kochi, Kozhikode, Mangalore, Amritsar, Jaipur and Madurai, Hong Kong from Delhi and Jeddah from Hyderabad; besides an upcoming flight from Kozhikode," the release said. SpiceJet Announces 18 Direct Domestic Flights; Budget Airline Adds Bhopal as 50th Destination.